Glenview Animal Hospital is Accepting New Patients! Dr. Collis graduated in 1989 from the Ontario Veterinary College and took his first veterinary job on Vancouver Island. After working in a variety of positions, he established Glenview Animal Hospital in 1995 and Eagle Rise Animal Hospital in 2010. He has enjoyed the day-to-day challenges of companion animal medicine, though these days he focuses mostly on practice management and supporting the veterinarians and staff to enhance their knowledge & skills. Dr. Martin graduated in 2000 from the Ontario Veterinary College after an earlier life in the financial field. Her passion for the pursuit of excellence in veterinary practice as well as applying her multitude of academic skills had her completing her Ph.D. in the immune response to breast cancer in women through the Deeley Research Centre and the University of Victoria in 2010. 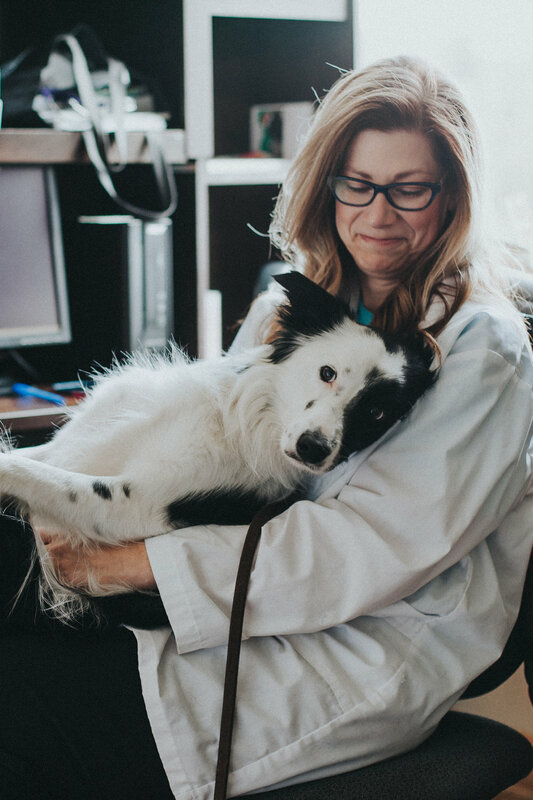 She can be found practicing veterinary medicine at Glenview & Eagle Rise Animal Hospitals and is the Veterinary Director at the University of Victoria, involved in clinical veterinary medicine and the teaching of medical students. Laura obtained her undergraduate degree in Biology at UVIC in 2012 and then went on to graduate from the UCD School of Veterinary medicine in Dublin, Ireland in 2016. Since then she has been practicing at Eagle Rise and Glenview Animal Hospitals and is thrilled to provide care for a large variety of pets.